If you are having a hard time finding stock photos or other images on the Internet, you need to try iStockphoto. 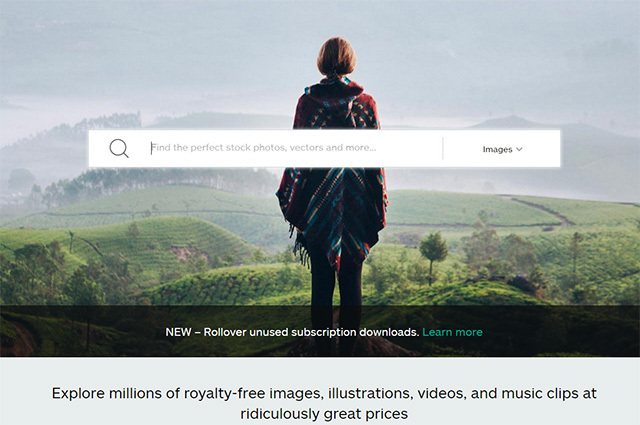 IStockphoto is a fun and easy way to find curated and royalty-free images at a reasonable price. IStockphoto is owned and operated by Getty, a name synonymous with high-quality stock photos. The service provides access to millions of images that can be used for just about anything imaginable. But, before you can choose one of the fabulous photos that are on iStockphoto, you need to know a little more about the service. The images you can find on iStockphoto come from contributors. All of the content is vetted to guarantee it meets the high standards that are set by iStockphoto. When an image is downloaded, you purchase a license that allows you to use the file in a multitude of ways. Some possibilities include advertising efforts, websites, blogs, presentations, video productions, and podcasts. All iStockphoto images are royalty-free. So you can use them for as long as you want, within the terms of the license. When a photo or another image is designated as “royalty-free” it means that the image comes with a standard license for use. After you initially pay for the image when you download it, you will not need to pay the photographer a royalty each time you use it. Since iStockphoto contains millions of images, there needs to be a way to search for what you need easily. The easiest and best way to search for images is with the use of keywords. Simply type keywords into the search bar at the top of iStockphoto’s website and then select the type of file you are looking for. As soon as your keywords are entered, you will see results that are related to it. You will have the option to apply filters to the search to narrow down your results. What happens if you cannot find a file? Occasionally, you may perform a search that comes up with zero results. In instances like these, there are a few possibilities that might be causing the problem. You may be searching for something too obscure or unusual or being too specific with your search parameters. In this case, if you have entered multiple keywords, pare it down to just the one or two that best describe the object for which you are looking. If you have applied filters, remove them to widen your search. If you are searching by file number, the image may no longer be available. In this case, contact iStock, and they will help you locate it. If you purchase credits, you can download files as you need them. You can purchase credits in preset packs that let you save money on downloads when you buy them in large quantities. Image subscriptions provide access to a specific number of image downloads every month. There are multiple subscriptions from which to choose, to fit a variety of needs. Credits can be considered currency that is exclusive to iStockphoto. You can use credits to download files of any kind. The larger preset package you purchase, the lower the per-credit cost is. Any file you purchase with a credit can be used in as many projects you use for an unlimited amount of time. Credits never expire as long as you use your iStock account as long as you sign into your account at least once a year. Unused credits packs may be returned for a full refund within 14 days of purchase. However, if any credits have been used from the pack, no refund can be granted. With just a little bit of know-how, you can easily find and use stock photos with iStockphoto. Once you see everything you can accomplish with the stock photos you can find, you will quickly become a fan!